Photo mini sessions are fun and exciting to shoot, and according to Stacey Potter, a children’s lifestyle photographer based in Boulder, Colorado, they can pay off too. “It is a great way to bring in a large influx of money in one to two weekends (anywhere from $4,000-$10,000 for just a few days work). 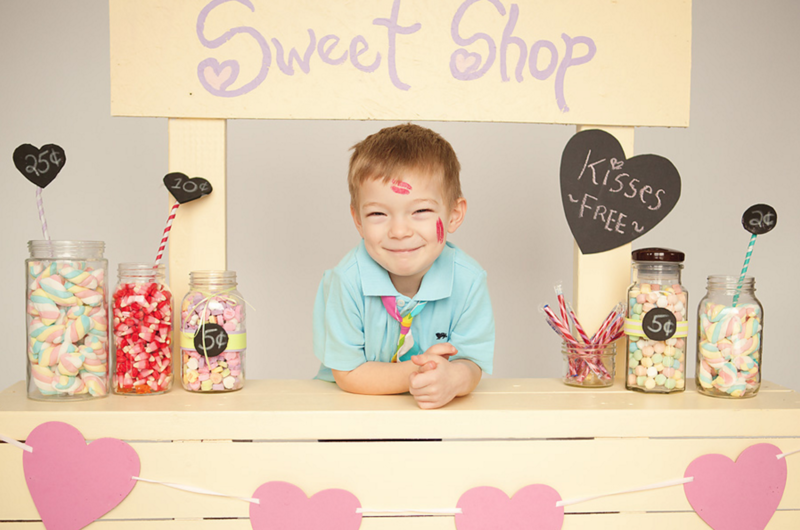 Think of mini sessions as a way of building a brand new clientele base.” says Potter. While this might be true, most photographers will also admit these sessions can be a stressful ordeal to organize. 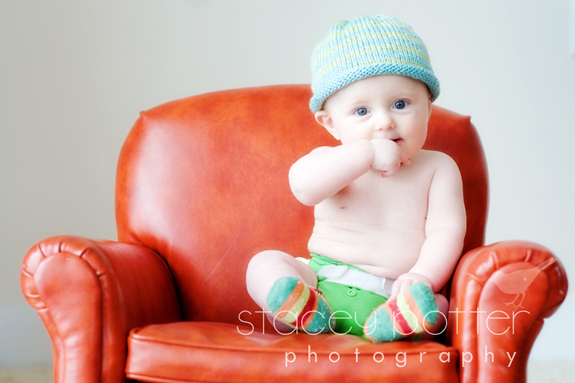 Here at BookedIN, one of the most popular services we help to schedule are photo mini sessions. We’ve spoken with hundreds of talented photographers, and know that scheduling these quick little sessions can be a big hit! A mini session is a very short photo session. 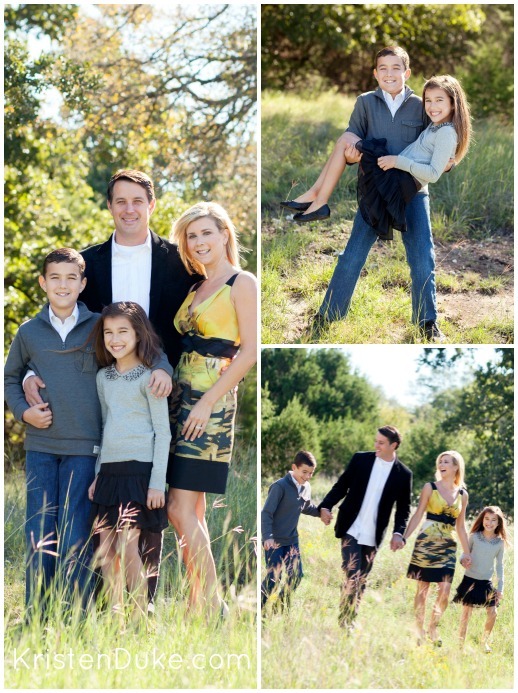 A normal photo session can include hours of shooting, multiple locations and 100+ photos to choose from. Minis are all about short times (15-30 min. ), a small number of edited photos for the clients to choose, and a lower price. They’re extremely popular for photographers. Minis are the perfect opportunity to develop new client relationships and can eventually lead to more full sessions. They are also very popular with clients, usually families. 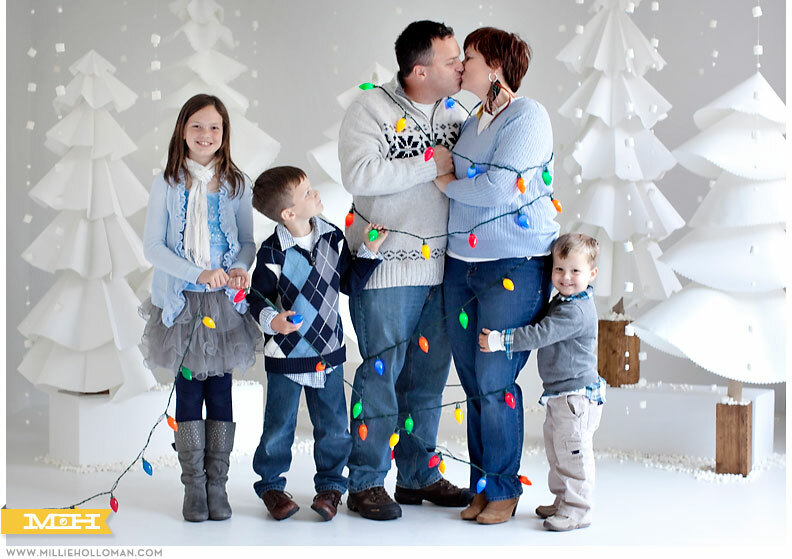 The prices are more affordable, and can be a fast way to get professional photos for holiday cards, family announcements or just a few great photos to share with friends. “I see many people offering mini sessions in the spring and autumn. I understand why: the weather is beautiful, the colors pop, and many people are naturally thinking about portraits at this time of year. One problem: spring and autumn are usually a photographer’s busiest times. Are you really prepared to give up a Saturday or a weekend during your busiest months to shoot sessions that may not be as lucrative as doing a few full sessions on those days? Not to mention the editing time required when you’re already swamped! Read Ryan’s full post on fotothrive.com. 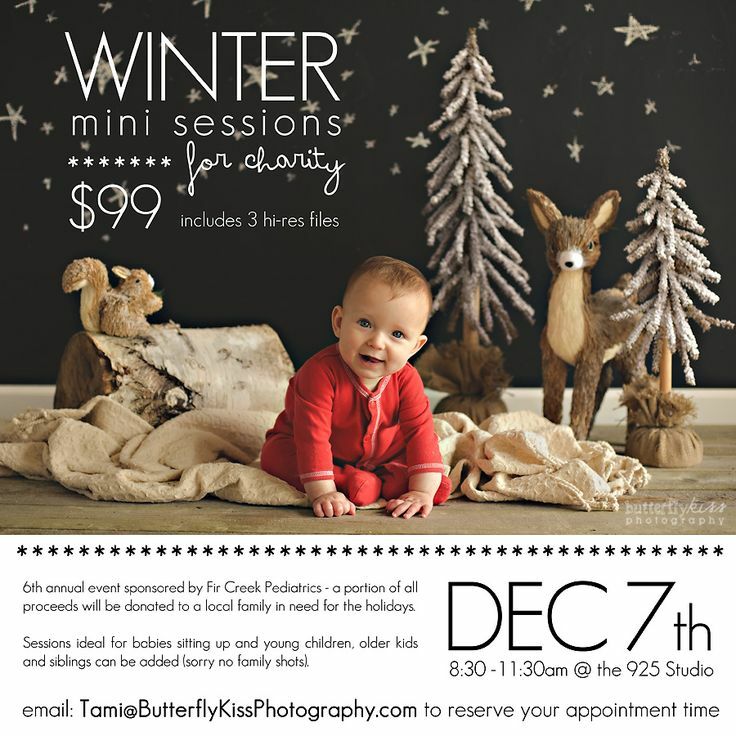 When doing mini sessions, some photographers decide to donate all profits to a charity, or offer services free of charge. This approach is great for making a name for yourself, supporting a cause you care about, and creating some great photos to showcase in your portfolio. 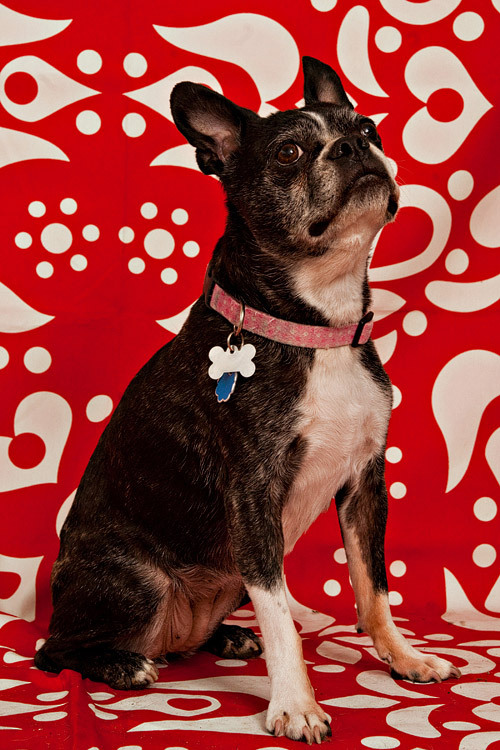 For example, Red Photo Co, a photographer duo based in Winnipeg, Manitoba have a soft spot for Boston Terriers, so they donate time to support their favorite dog shelter. Every few months they’ll do a session for dogs who are available for adoption or portraits of families who have recently adopted a new furry friend! First: Determine how many sessions you’ll offer. Also, are you’re willing to open more slots if the initial spots fill? Calculate the time you’ll spend on each session + culling, editing, design, ordering and prep for delivery. Based on the above, how many mini sessions do you feel you can reasonably book without losing your head? Take your profit goal, divide it by the number of sessions. 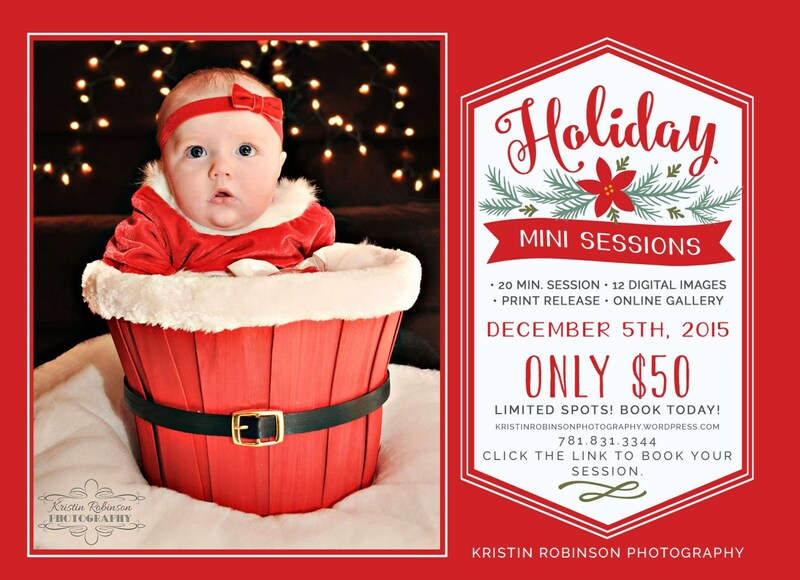 Ex $5000/14 mini sessions = $357.14. This gives you a rough ball park for your price tag. Other costs to consider: products, paying an assistant. If you have time, you should definitely check out Leah’s full post here. To help save time, many photographers choose to use online payments instead of accepting checks, cash, etc. Many opt to charge for the session up front, or collect a deposit at the same time the client books their appointment. That way you won’t have to worry about people not showing up. Everyone is paid in full, and you can just focus on shooting gorgeous pics! 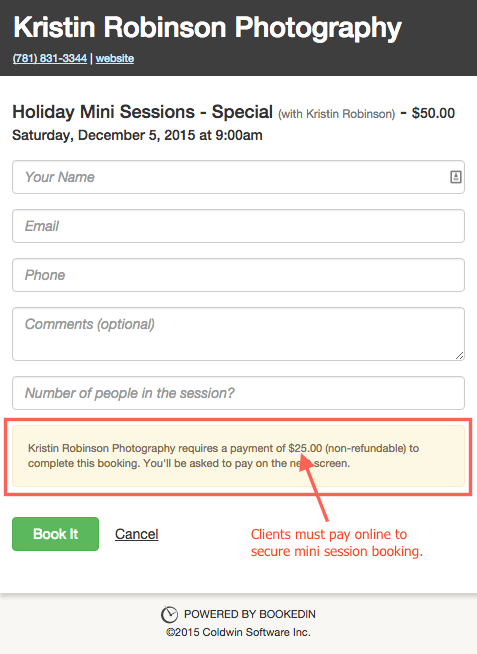 Kristin Robinson, a photographer based in Rockland, Massachusetts uses photography scheduling software to book her holiday minis and charge a $25 deposit fee online. This is the key to success! If you don’t get the word out about your upcoming minis, how will people know to book? Even though this topic can make some people cringe, marketing and promoting your minis doesn’t have to be super complicated. First up: Design your marketing images. You probably have a treasure trove of design tools, and beautiful photos to utilize in your designs. Try to create images that are visually engaging and get people excited to book their session. This social media image size cheat sheet may come in handy. If you’re into creating your own layouts, but don’t want to mess with Adobe, Canva is a free and easy design tool. 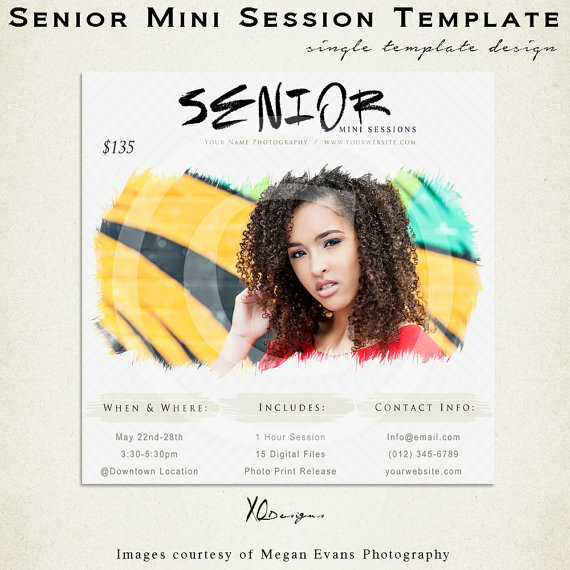 Etsy also has hundreds of mini session templates for purchase which will save you hours of design time. If you have an existing client list, many photographers will recommend to try breaking your promotion down into two phases. Print up a few small invite cards, and then snail mail them to your existing clients. After about a week, do a follow up email using the same design as the invite. These clients will feel special getting an exclusive invite and first pick on session times. Hand out invite cards at your local mom groups, dance class, softball practice and swimming lessons. Ask your followers to share your post on Facebook in exchange for a discount or special offer. Booking in multiple families in such a short timeframe can be tricky! Luckily there are tools to help with this. To handle the administrative chaos, most photographers will create an online booking site. With photography scheduling software, you won’t have to do the usual back and forth communication with clients, or continuously update a list of which times you still have available. 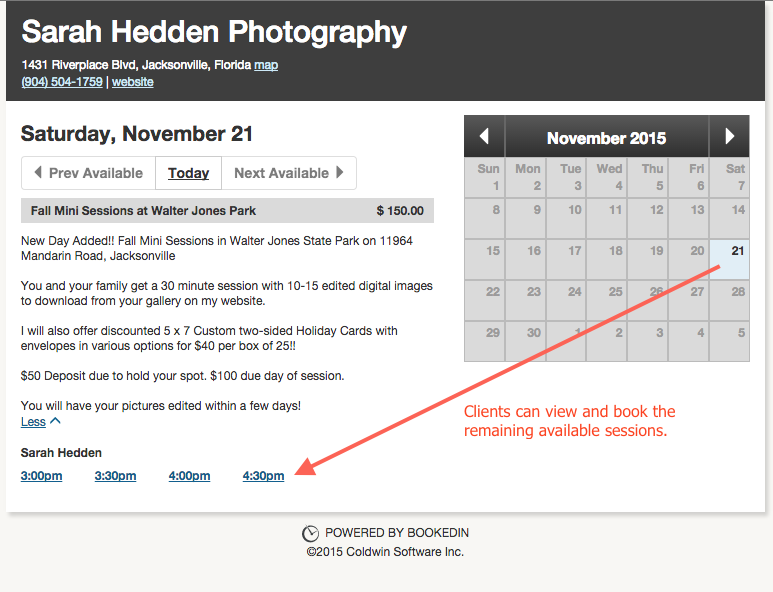 Here is a sample mini session scheduling page from Jacksonville, Florida based photographer Sarah Hedden. Here, her clients can book online from their smartphone or any computer without having to make an account or remember a password. The decor of your minis can be as complex or simple as you like. Theme it, and try to do something to make it extra special for your clients. Make sure to factor in your decorations into your budget. In a recent post for photo blog mcpactions.com, Veronica Gillas, a natural light photographer based in Portland, Oregon says when it comes to location, sticking with what you know best is key. If you’re taking photos outdoors, we can’t stress this enough. Have a rain plan. If there’s bad weather, wind or even extreme heat kicks in, make sure you have a back-up location to move your shoot. The hardest part about mini sessions is not being able to chit chat and get fun stories out of my clients. One thing I love so much about being a photographer is making new friends, learning about people. I just don’t get to hear that as much in petite sessions, because we get right down to work! Get more tips from Kristen Duke here. The session day is behind you, the editing is complete and you’ve delivered those beautiful photos to your clients. Now that the dust has settled, remember that follow up is essential to re-booking these clients. Most photographers will agree, mini sessions are not about making a bit of extra money, it’s all about building up your photography client list! 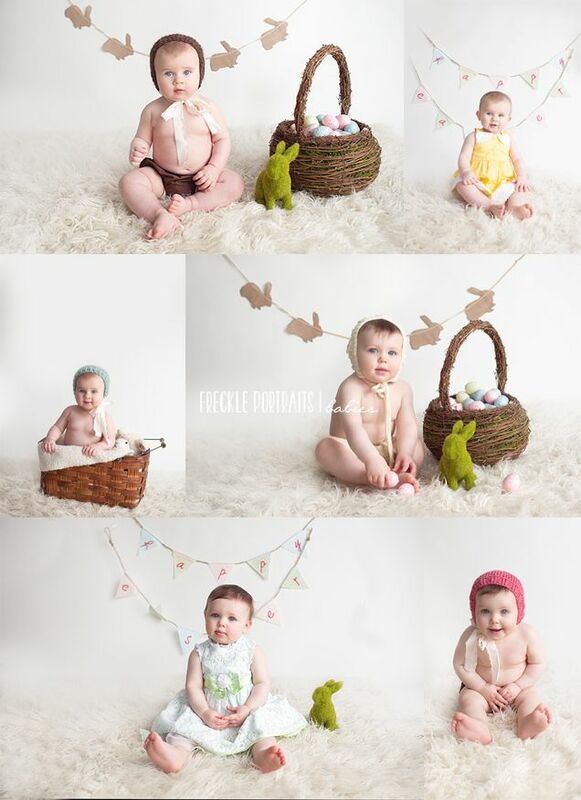 In a recent post on inspiremebaby.com, a blog dedicated to inspiration for baby photographers, Stacey Potter gives some fantastic tips on delivering photos and following up. “You now have a new clientele base. Don’t waste it. You know them, they love you, they love what you gave them. Follow up, follow up. follow up. Do this in a variety of ways. A monthly email newsletter, personal emails when milestones occurs (6 months, 1 year, Christmas, etc), invite them to like you on Facebook. If you’re looking to save time, reduce stress, and get control of your photography bookings, we can help with that too. Start your free 30-day trial of BookedIN photography scheduling and online payment software today.